Being pregnant has a big impact on your clothing ‘favourites’ list. Items I used to love I now despise and have banished to another room of our house. I thinks it’s important to purge your wardrobe early on in pregnancy as otherwise you stare depressingly at the large number of clothes you can no longer fit into and waste time stressing over what to wear. I did a big clean out last week after having a small tantrum about no longer having anything to wear. Unlike the past when I have used the “I have nothing to wear” statement, I actually really did have nothing to wear! I took anything in sight that was no longer wearable and dumped the items in a big pile in another room. It was somewhat depressing seeing the mostly empty rack in front of me. However the next morning when I got up I knew that everything in sight would fit. It took me half the time to dress as I had my only clothing options right there in front of me. The staple item in my current wardrobe is a midi skirt. The majority of my midi skirts survived the purge because most of them are in a light stretchy fabric. I have many of them in different colours and prints and they are really comfortable to wear to work. 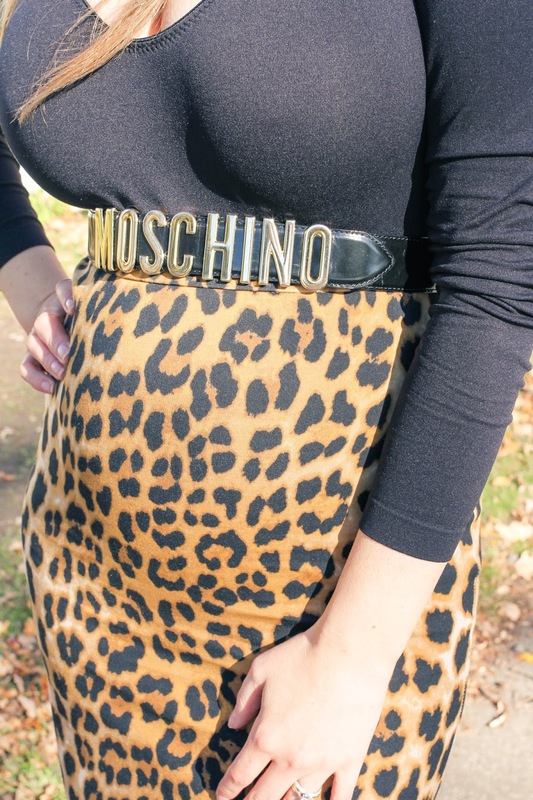 Being pregnant means that I need to wear the skirts either over my bump or under it! I generally choose the ‘over’ option as I find it much more comfortable although as I get bigger I wonder if this will change..